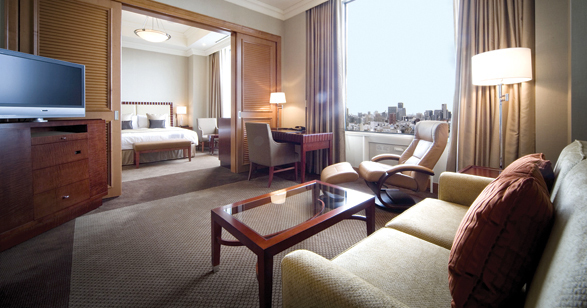 Luxurious 381-room sibling of the original Imperial in Tokyo, situated on the cherry tree-lined Okawa River. The décor retains the influence of Frank Lloyd Wright, who redesigned the Tokyo hotel in the 1920s. Request a room on the 20th or 21st floor, which have contemporary furniture of dark wood and a range of technological amenities. Smallish baths are attractively appointed with black-and-white-marble surfaces and offer glass-enclosed tub-shower areas. Several notable restaurants include Jasmine Garden, Kyubey for superb sushi and Les Saisons for classic French cuisine. A 47,000-square-foot fitness club includes all-weather tennis courts and a putting green as well as a gym, saunas, a Jacuzzi, an 82-foot indoor swimming pool and massage facilities. The hotel also has a music room and kids’ club. 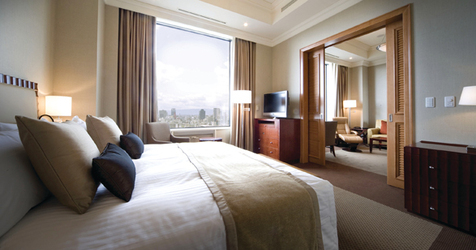 Lowest Rate: Standard Room, $300; Editor’s Choice: Junior Suite, $880. To learn more visit their website or call +(81) 6-6881-1111. Contact Andrew Harper Travel to book this hotel as part of your next vacation.